Aquatic species provide global food security, contribute billions of dollars annually through recreational sport and tourism and are culturally significant to many aboriginal and First Nations groups. Despite their importance, little is known about the survival, movements and migrations, habitat use, and response to the changing ocean climate of many species. Managers and policy makers require profound knowledge and understanding of marine ecosystems to reduce and avoid human impacts. Ocean Tracking Network’s global monitoring network is providing the scientific foundation for sustainable oceans management. OTN’s vision is to revolutionize the understanding and stewardship of aquatic species globally through collaborative leveraging of Canadian and international expertise, data warehousing and technological innovation. OTN’s mission is to inform the sustainable management and stewardship of aquatic animals by providing knowledge on their movements, habitats and survival in the face of changing global environments. OTN is deploying Canadian-made acoustic receivers and oceanographic monitoring equipment in all of the world’s five oceans. This global receiver infrastructure comprehensively examines the local-to-global movements of tagged marine animals such as sharks, sturgeon, eels, and tuna, as well as other marine species including squid, sea turtles, and marine mammals. 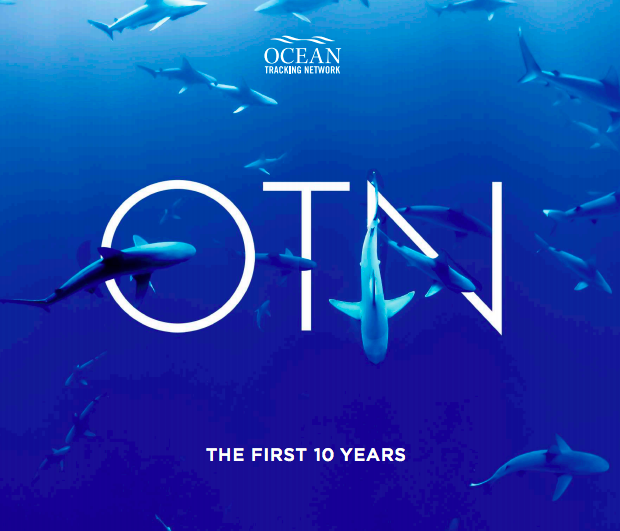 OTN unites the finest marine scientists in the world in the most comprehensive and revolutionary examination of marine life and ocean conditions that will change how scientists and world leaders understand and manage pressing global concerns such as fisheries management in the face of climate change. OTN is the world’s aquatic animal tracking network. Tracking is conducted in each of the world’s five oceans, spanning seven continents, and in freshwater systems that either serve as highways to the oceans for species that migrate between fresh and salt waters, or that’s size fosters significant movements of valued species entirely within fresh water. OTN has deployed over 2,000 acoustic tracking stations (receivers) globally and tracks over 130 commercially, ecologically, and culturally valuable aquatic species. 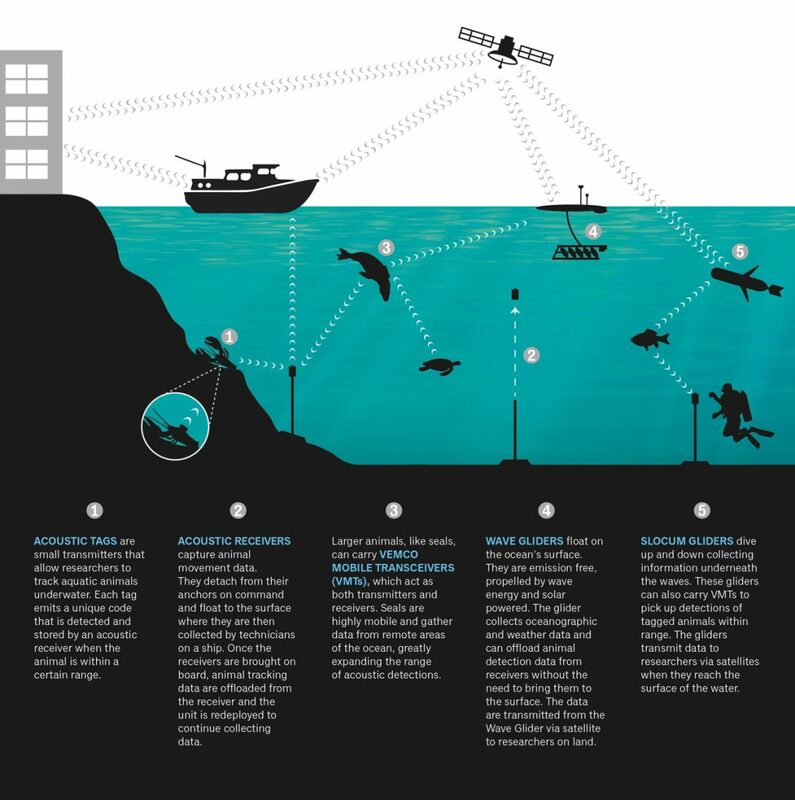 OTN’s underlying concept is to share costs, resources, expertise and data with global partners to enable the creation of a global acoustic telemetry network. OTN also includes work with other technologies, including satellite telemetry and data storage tags, which can contribute knowledge about animal movements and their environmental correlates. OTN’s international value proposition is to strategically make capital and data‐sharing investments that build on the scientific expertise and existing infrastructure of international partners to provide larger platforms that can generate the knowledge that international end users need at an affordable price. The Canada Foundation for Innovation (CFI; $35M) provides support for the global acoustic receiver infrastructure. The Nova Scotia Research and Innovation Trust (NSRIT) provides matching funding to CFI support for HQ personnel. The Natural Sciences and Engineering Research Council of Canada (NSERC; $10M) funds Canadian scientists conducting research using the acoustic infrastructure within Canada. NSERC-supported research addresses key questions by focusing on Canada’s ocean and aquatic ecosystems. OTN is also supported in-kind through our many international partners. OTN’s management plan aligns strategic goals with management priorities. 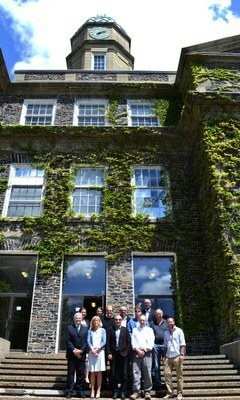 Governance of OTN is undertaken by the OTN Council on behalf of the University. The Council is advised by a Canadian Scientific Advisory committee that oversees the science work of the NSERC OTN network, and an International Scientific Advisory Committee that fosters collaboration of Canadian institutions and scientists with their international counterparts. The mandate of the OTN Council is to provide independent, external stewardship of OTN on behalf of Dalhousie University, CFI, and other OTN stakeholders. A new Council was formed in 2012, comprising Canadian and international industry, research, and policy leaders who are lending their considerable expertise to assist in strategic planning, management, growth, and positioning of OTN. Three committees fall under the purview of the OTN Council. They are the OTN Management Committee, the OTN Canada Scientific Advisory Committee, and the OTN International Scientific Advisory Committee. The ISAC and SAC’s roles are to guide, advise, and integrate the planning of Canadian and international research projects, respectively. These groups assist in ensuring that science undertaken in Canada and around the world is consistent with strategic direction and funding priorities. Chaired by a member of the Canadian scientific community, the OTN Canada Scientific Advisory Committee (SAC) advises and reports on the planning and coordination among all projects undertaken under the OTN umbrella in Canada. This group assists OTN in ensuring that the science undertaken in Canada is consistent with the international strategic direction and that it is consistent with national funding priorities. OTN is developing a global infrastructure to collect comprehensive data on sea animals in relation to the ocean’s changing physical properties. Despite its sophisticated technology, the tracking is quite simple. Scientists will tag a wide range of aquatic species — salmon, tuna, whales, sharks, penguins, crabs, and seals, to name a few — with small electronic transmitters that are surgically implanted or attached externally, and can operate for up to 20 years. Acoustic receivers, roughly the size of kitchen food processors, will be arranged 800 metres apart in invisible “listening lines” at strategic locations along the sea floor in 14 ocean regions off all seven continents. These receivers will pick up coded acoustic signals identifying each tagged sea creature that passes within half a kilometre. As a tagged animal swims over a line, it is recorded. The data are subsequently uploaded to a central database, resulting in current and reliable global records that can be analyzed and applied to many different environmental research efforts. Tags and receivers can also be outfitted with sophisticated sensors that measure the ocean’s temperature, depth, salinity, currents, chemistry, and other properties. OTN will collect the data from the receivers and ocean-sensing instruments by a variety of methods. Ships, or small robotic submarines called Gliders, will patrol over the lines, using acoustic modems to upload data from the receivers. Next-generation receivers will be able to “daisy-chain” data to the next receiver in the line until all the data are transmitted to a shore station. In some areas, receivers will be connected to underwater fibre-optic-cabled “ocean observatories” that send data to researchers instantly. Receivers can also be attached to buoys that relay data ashore via satellite. OTN will provide vast details about changing marine conditions and their impact on sea animals and fish. With investment from CFI, it will open a new window on marine life, using unprecedented technological innovation developed in Canada, much of it in Atlantic Canada. It will improve the world’s ability to study, manage, and protect three quarters of the planet, amid increasing threats from climate change and overfishing. 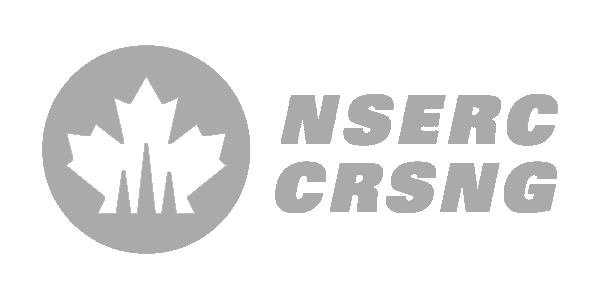 OTN’s Canadian private sector partners are developing long-lasting tags with codes unique to the OTN, thereby avoiding any coding confusion, keeping the data pure and reliable. The tags range in size from an almond to an AA battery and can be surgically implanted or fastened to a fin. The ease of this application means that tagged fish just need to swim over the receiver and the data are recorded, similar to the way we pay for food at a supermarket checkout using a UPC scanner. With OTN, tagged animals are reporting on their own travel activities, making this information-gathering method much more cost-effective and reliable than the traditional means of sending people to sea in ships. OTN will enable the world’s best minds in marine science and management to collaborate among research institutions located in Canada, the United States, Argentina, Bermuda, Spain, South Africa, Japan, Australia, and elsewhere. This will result in the most comprehensive data to inform marine management practices ever available and will determine how life-sustaining ocean properties are changing in response to climate change in a way never before possible. Over the next few decades, billions of dollars will be spent on ocean monitoring around the world, so OTN will have tremendous potential for Canada’s economy, while enhancing Dalhousie’s position as a global leader in marine research. Ultimately, this will lead to a deeper understanding of our oceans and climate change effects, and better-informed approaches to fisheries management and conservation of endangered species. The world’s oceans are vast and cannot be properly described using research vessels only. Satellite technology has greatly improved our ability to obtain global coverage of some environmental variables but satellites cannot see into the ocean’s interior. Autonomous gliders can help to fill the gaps between shipboard sampling and satellite imagery. OTN operates a fleets of Teledyne Webb Research Slocum electric gliders. These gliders operate near continuously along the Halifax Line, running from Chebucto Head to approximately 250 km offshore. Others are deployed in the Gulf of St. Lawrence and Cabot Strait regions. Their mission is to provide oceanographic context for the animal tagging and monitoring efforts of OTN. Data from the gliders will provide foundations for models of ocean dynamics that will be related directly to the activities of tracked species. OTN also operates a Liquid Robotics Wave Glider that’s primary mission is to upload data from bottom-mounted acoustic receivers and then transmit that data back to shore via satellite. The Wave Glider itself is also a mobile receiver listening for tagged animals. While performing these two functions it also collects oceanographic data on the ocean’s surface. Visit the ocean gliders and marine observation site to learn more and view glider data.